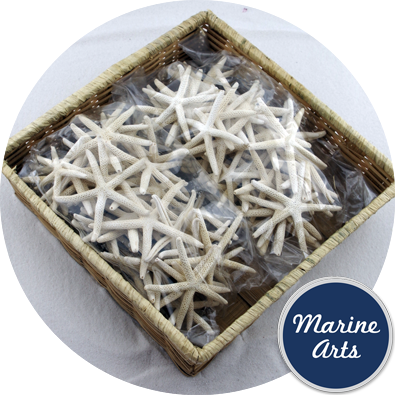 Sold In Multiples of: 4 No. 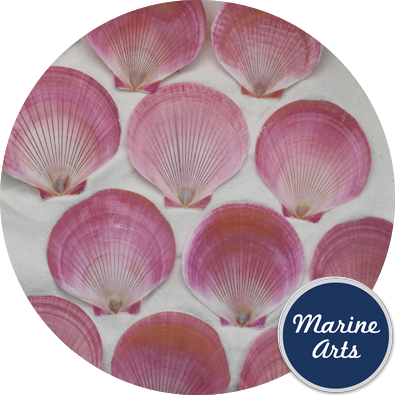 Natural wafer thin rose pink shells with an iridescent interior for crafts and interior/exterior decoration, window dressing and promotion work. 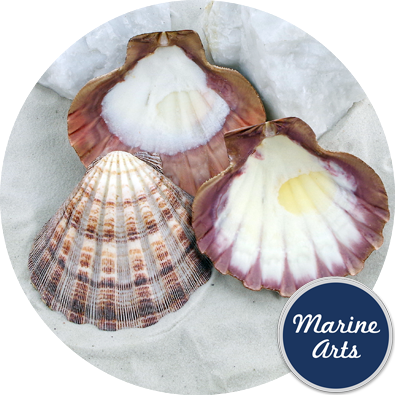 Seashells like these scallops make for the best presentation due to their bowl-like shape and the ability to clean them thoroughly on all surfaces. 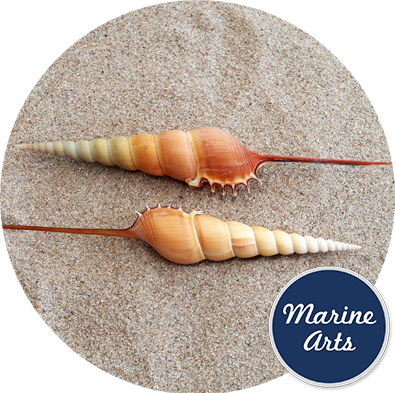 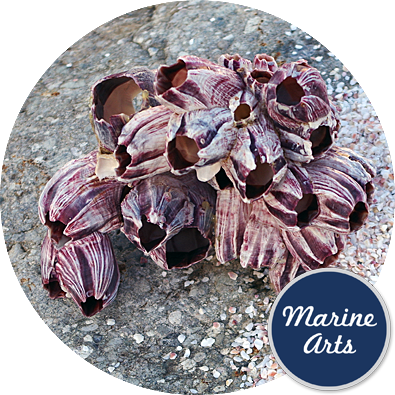 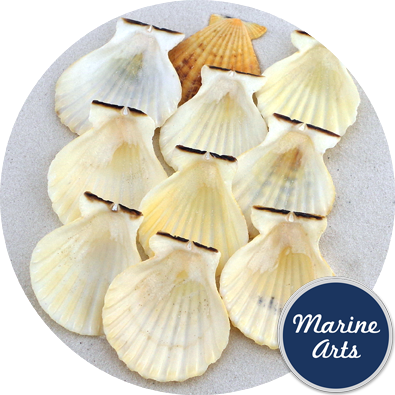 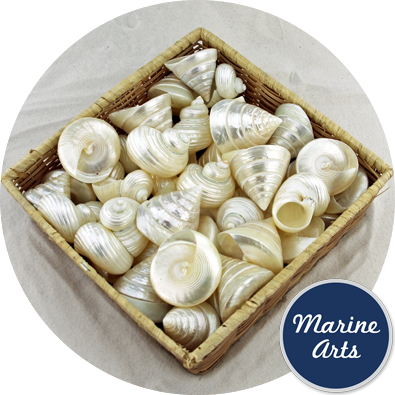 Sea shells offered by Marine Arts for presentation are are made naturally form the mineral Calcium Carbonate. 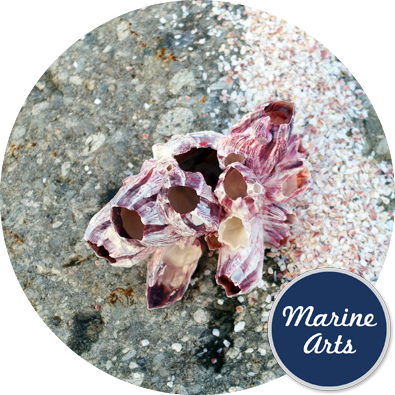 We are not aware of any other compounds or minerals within the seashells that would preclude their use as food presentation dishes. 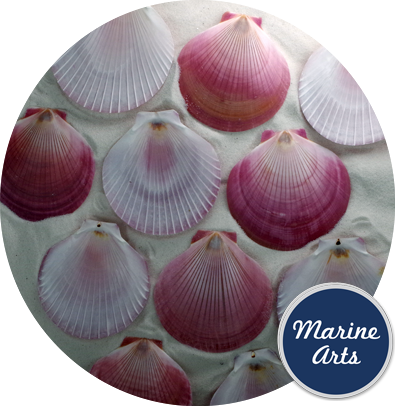 Seashells have a complex layered construction, making them extremely strong, light weight and thin. 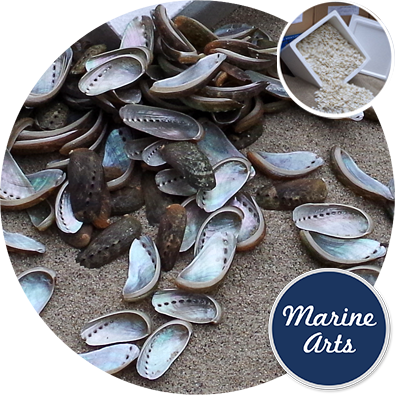 In many cases seashells are stronger than ceramic plates, but be aware that chipping can occur with thinner shells.